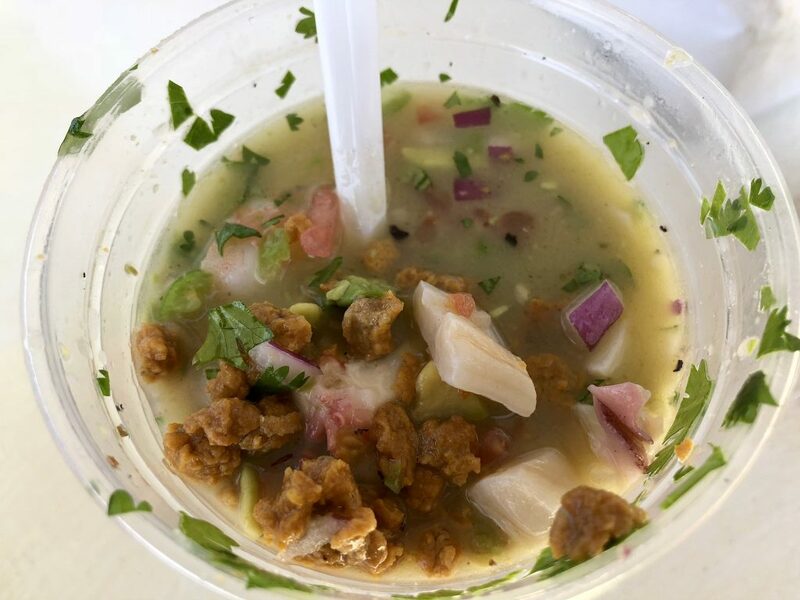 I struggle with my Top 10 Baja Bites list at the end of every year. There are so many talented cooks and chefs and so much good food in the region that to pick only ten dishes is an exercise fraught with tough decisions, a bit of wayward logic and more than just an ounce of regret. For example, I regret that I didn’t dine in Tijuana more often this year. I was invited to several openings and the food my chef friends posted on Facebook looked delicious, but work, family and life in general often interfere when making culinary commitments. Karbó, Estación Central, Georgina, Kool 52, Oryx Capital and new Revu bakery Etéreo Panadería are solidly on my list of places to visit in 2019. 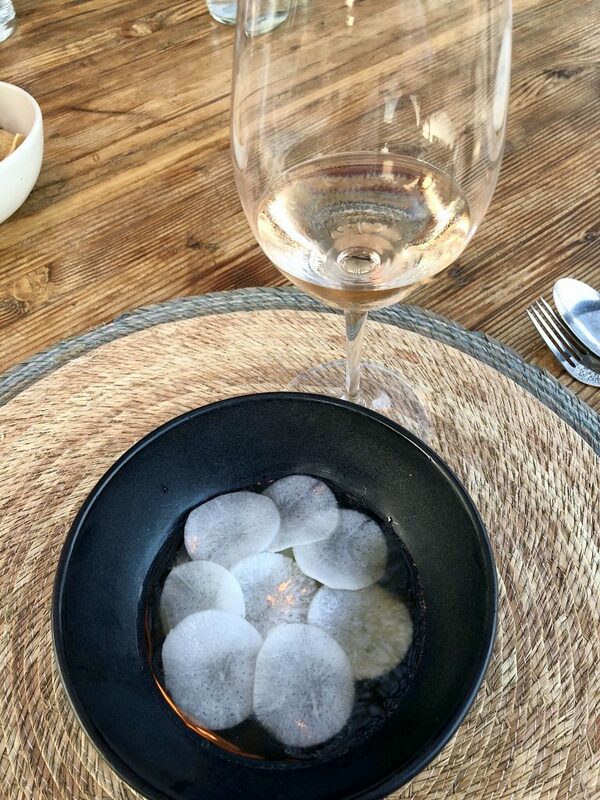 On the other hand, I was in the Valle de Guadalupe often throughout 2018 and enjoyed exceptional meals at restaurants both old and new. I offer my apologies to Malva, Deckman’s en El Mogor, LaX at Alximia, Pancracia, Traslomita, Cantera Cocina de Baja, Adobe Food Truck, La Cocina de Doña Esthela, Brasa del Valle and Parcela 70. Dishes from each would have easily made a top 25 list, as I have done in previous years. Tiny Tecate – just across the border an hour east of Tijuana – was the big surprise this year. I sampled dishes that ranged from rustic Mexican pre-Hispanic cuisine at restaurant Malinalli to fare with a distinctly French flair served atop a white tabletop at Restaurante Amores. Both made this year’s list and El Lugar de Nos’ tostada of tuna in black escabeche was a top 25 contender. Mextaplique at Once Pueblos, Valle de Guadalupe. 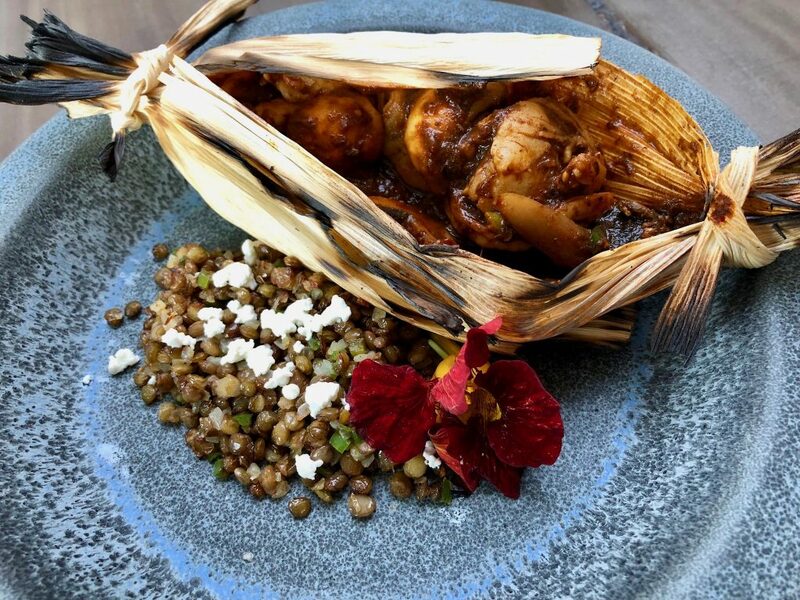 The cuisine of Michocán met Baja California this year when Once Pueblos opened in the Valle de Guadalupe. The Aztecs utilized corn husks to carry food on long journeys, kind of like a pre-Hispanic brown bag. Chef Sandra Vasquez gives the dish – typically made with pork – a regional twist by adding sumptuous grilled Baja California shrimp and mushrooms bathed in a rich, profoundly deep ancho chili based sauce. Mario Peralta, formerly of Fuego in the Valle de Guadalupe, partnered with Juan Cabrera of Mexico City’s Fonda Fina to open Los Compas in 2018. Here, the two chefs pay homage to Mexican classics. Unassuming on the plate, every bite of this slow-cooked and then deep-fried cabeza is bursting with savory flavor. The chili aioli and a smattering of fresh watermelon radish, apple and pickled carrots are a perfect complement. Fettuccini with local lobster at Animalón, Valle de Guadalupe. 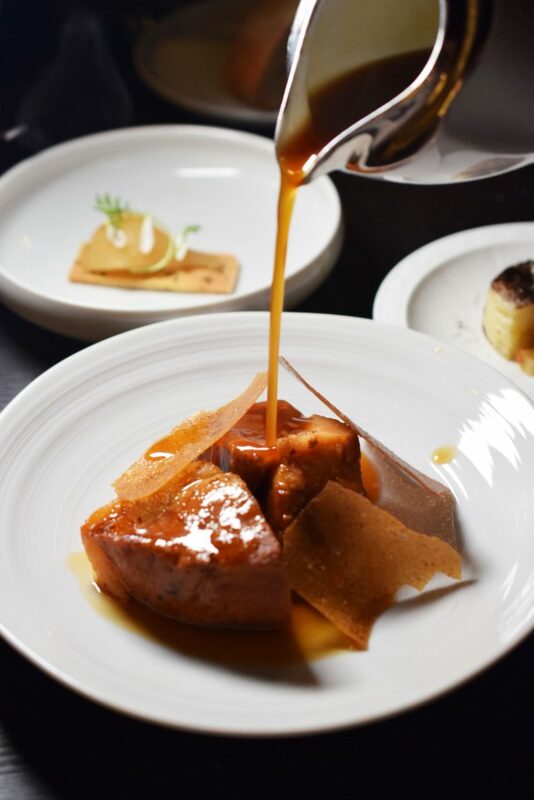 Come to dine in the boughs of the 200-year-old oak tree, stay for the consistently creative and flavorful cuisine from chefs Oscar Torres and Javier Plascencia. 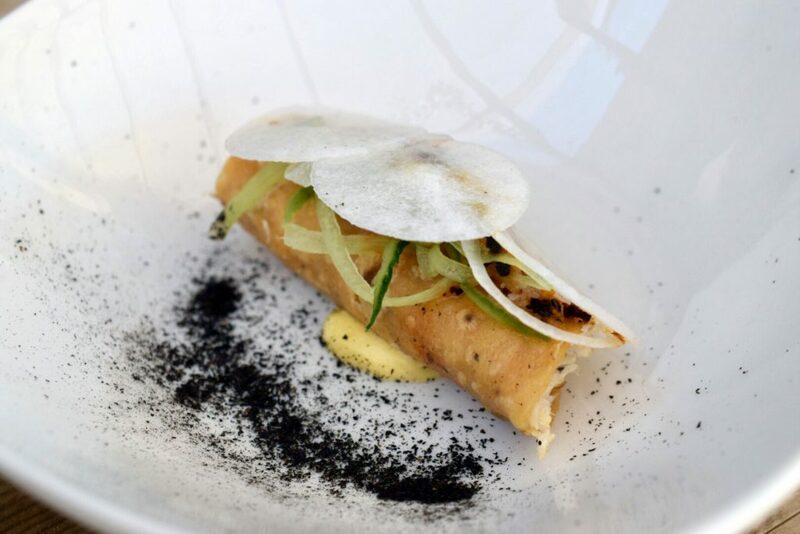 This year, the pop-up restaurant’s second season, the menu included this Instagram-worthy dish of house-made fettuccini wrapped around a thick ragout of grilled local lobster with purslane, crema and roe. We enjoyed every scrumptious bite. Beef birria taco at El Trailero, El Sauzal. Taqueria el Trailero, just north of Ensenada off Highway 1, has a taco for everybody. From tacos adobado sliced from meat on a spit to fish tacos, a regional favorite, all of the options here are outstanding. The taco of birria de res (beef slow stewed in a combination of chilis and spices) is one of my favorites. The birria is ladled from a large stock pot into an awaiting corn tortilla that’s just been given a dip in the consommé and lightly griddled. 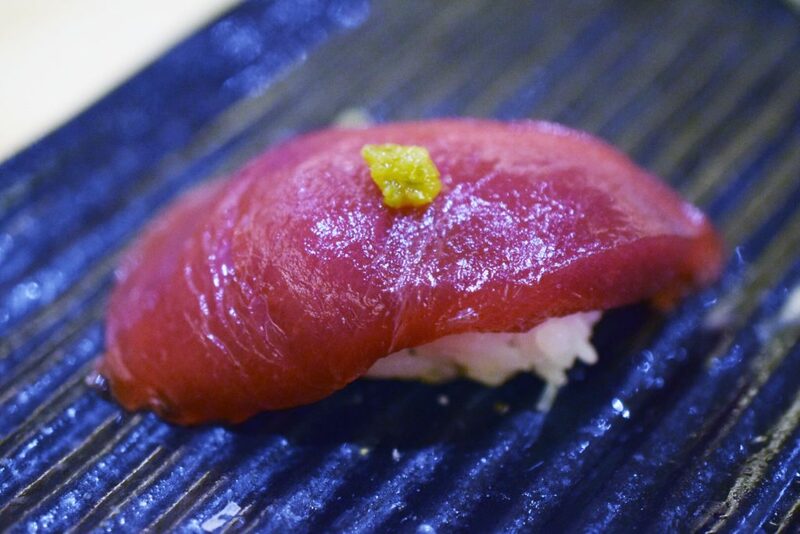 Nigiri of toro (bluefin tuna) at Toshi Toshi, Tijuana. Toshi Toshi opened in 2018 to offer an authentic Japanese edomai sushi experience to a city weaned on what many Tijuanense consider “Sinaloa sushi” — sushi rolls smothered in thick, cloying sauces. Chef Pedro Valarde recruited Toshiaki Tsutada from San Diego’s famed Sushi Ota as head sushi chef. This “speakeasy” inside restaurant Mantaquilla offers an omakase of lovingly-crafted nigiri and sashimi of locally-farmed fish from nearby Ensenada. Aguachile of sea bass at Fauna, Valle de Guadalupe. 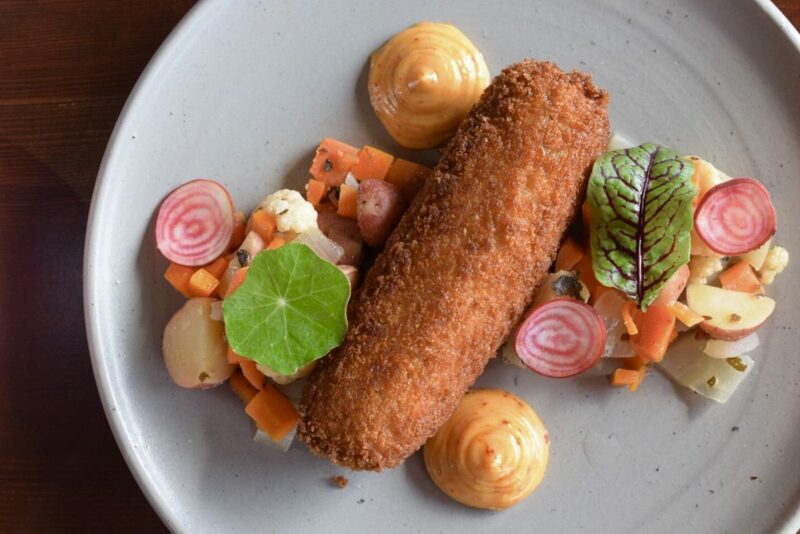 David Hussong Castro of Fauna is taking cuisine in the Valle de Guadalupe to another level. His experimental tasting menu offers multiple courses of thoughtful dishes crafted of local ingredients. One of the most successful experiments is his aguachile of seabass with daikon and avocado. He lightly smokes the fish then spoons the aguachile – a combination of citrus juice and serrano chilis – tableside. Tlocayo of smoked tripa (small intestine) at Quercus, Valle de Guadalupe. 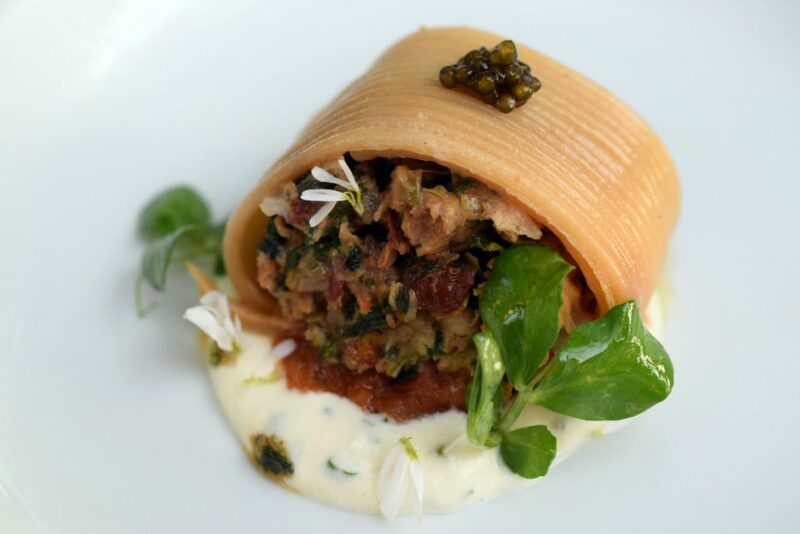 Restaurant Quercus features dishes of what owner Federico Cota calls “Caliterranean Cuisine”. 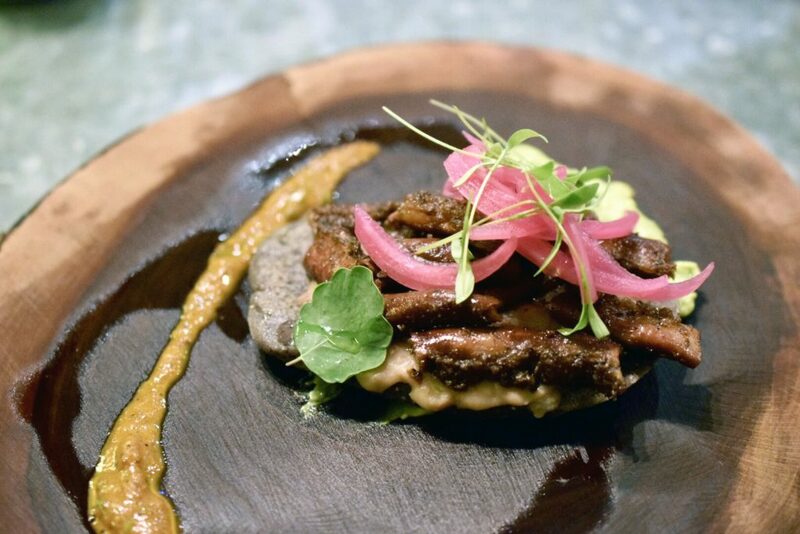 Chef Luciano Gonzalez’s decidedly Mexican blue corn tloycayo (a dense corn cake) is topped with mounds of perfectly smoked, slightly crunchy tripa (small intestine) which has an agreeable, strong earthy taste and a slight tang of iron. The dish is topped with pickled onions and served with a splash of chipotle chili based crema. Mixed seafood cocktail at El Pizón, Ensenada. This seafood cart, off the beaten path south of Ensenada’s malecón, specializes in fresh sea urchin. Marisquero and cart owner Alan Pasiono’s mixed seafood cocktail combines the urchin with octopus, shrimp, scallops, geoduck, red onion, cilantro and Serrano chilies in a base of shrimp stock, lemon juice and olive oil. The snap of the fresh seafood, the taste of the ocean and the umami in this cup is life affirming. Taquito of jaiba at Xato II, Valle de Guadalupe. The unassuming campestre-style restaurant Xato II at the El Paraiso winery may well be the “sleeper hit” of 2018. We tried a half dozen of their menu items, all very good to excellent. The standout was this tiny taquito of local jaiba, the little crabs you’ve no doubt seen skittering on shoreline rocks all over Baja California. The taquito is served with a flavorful aioli and tortilla ash. The fresh crab in this diminutive dish is bursting with oceanic flavor. Pork loin at Restaurante Amores, Tecate. Amores was one of my favorite restaurants in 2018. It’s difficult to pick a single dish from the four exceptional dinners I enjoyed there this year, but I’m going with their tender, locally-sourced pork loin. A luxuriant sauce of caramel, figs and the town’s namesake Tecate beer is poured over the moist, meaty loin morsels tableside, adding both sweet and slightly bitter layers of flavor. The pork is served with red bean chips, au-gratin potatoes, apple compote and a pear tart. Smoked oysters at Origen, Valle de Guadalupe. The Encuentro Resort, perched in the foothills of the Valle de Guadalupe, is home to one of the Valle’s best views — and apparently one of its best restaurants, as we discovered in 2018. 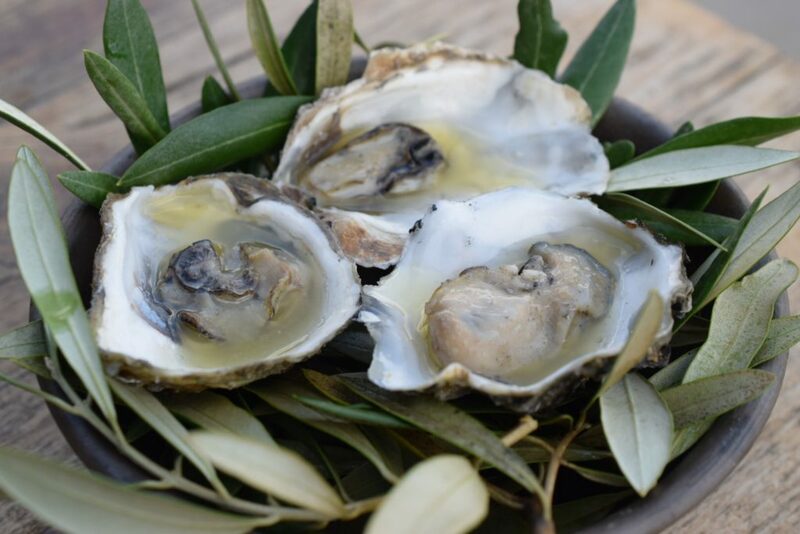 Chef Omar Valenzuela’s smoked Kumiai oysters are served in a flavorful bath of their own brine, house-made butter and white sage — which the chef forages rom the hills above the resort’s stylish eco pods. The oysters are served simply and elegantly atop a bed of olive leaves. Rabbit barbacoa at Malinalli, Tecate. When I had this dish for the first time in early 2018, I knew it would end up on this list, probably toward the top. And though I’ve enjoyed a lot of great food since, its position hasn’t budged. 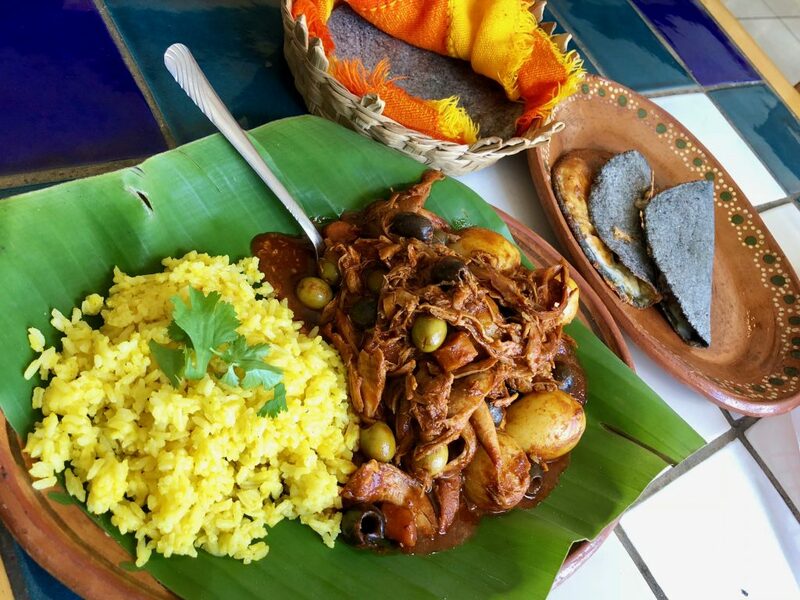 Owner and traditional cocinera Alicia Leon slow cooks local rabbit in a succulent stew of ancho and pasilla chilis. The barbacoa is served Sinaloa-style with yellow potatoes and olives. Malinalli’s warm, soft, house-made heirloom corn tortillas are perfect for mopping up every drop of the smoky sauce. Disclaimer: Some of the meals on this list were provided complements of the restaurants. This did not influence my decision to add them and no further compensation was received for their inclusion. This list was already set when restaurant Once Pueblos signed on to sponsor this post, and their delicious cuisine would have been included, regardless. 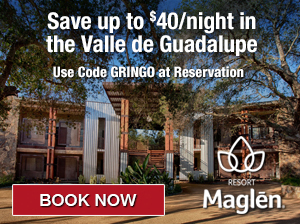 Travel to the Valle de Guadalupe with Baja Wine + Food. Book your Experience at travel@bajawinefood.com. Restaurant Once Pueblos, in the Valle de Guadalupe, offers a menu featuring the cuisine of Michoacán, Mexico. 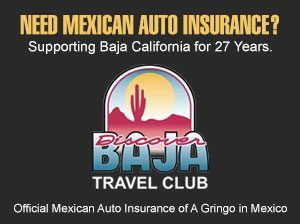 Contact O Xperience today for a unique concierge Baja California culinary experience. 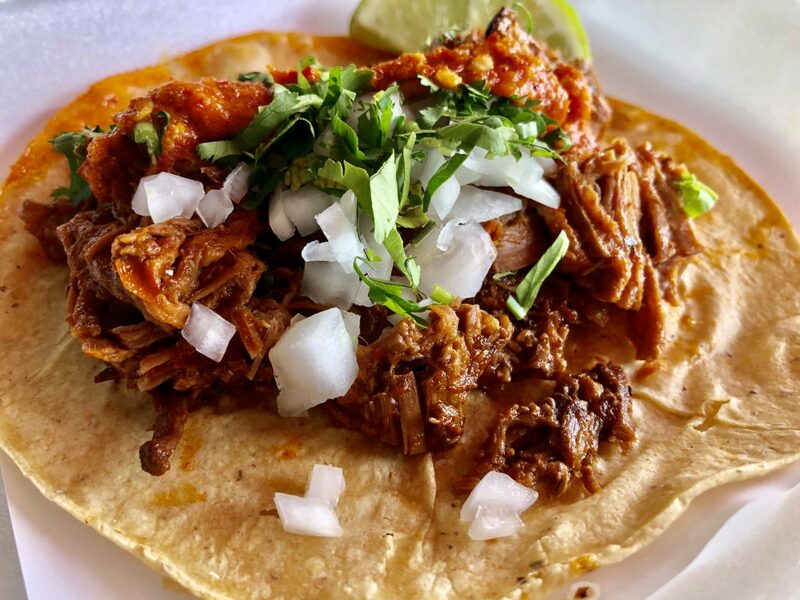 Tuetáno Taqueria in San Ysidro specializes in birria and traditional Mexican recipes of regional ingredients. Rotisserie San Roman is the home of the Original Pastel de la Crepas in Tijuana. Open for breakfast, lunch and dinner.